Part of the fun of traveling is sharing your amazing discoveries and experiences. 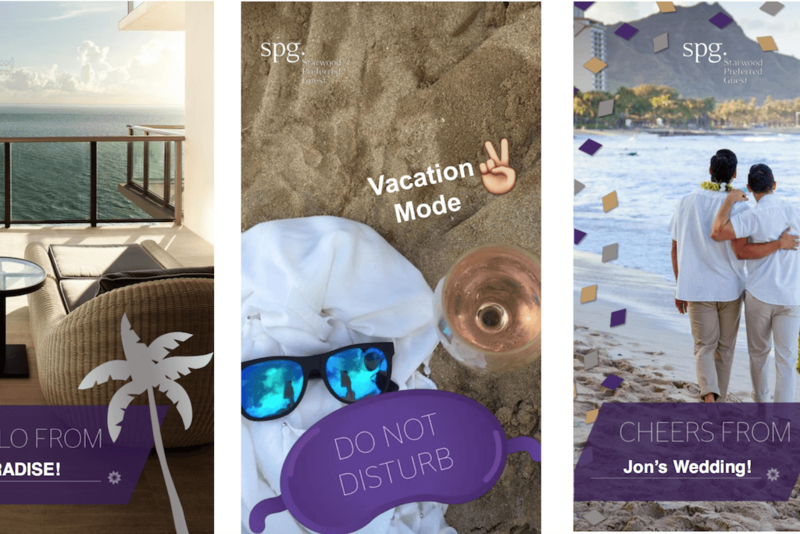 This is the sentiment the team at Starwood Preferred Guest (SPG) is hoping to tap into with the launch of SPG-branded Snapchat geofilters at 650 Starwood properties located in the United States, United Kingdon, and Canada. SPG plans to have several geofilters personalized to the hotel’s location, such as a beach destination, and will add more in the coming months. Other geofilters will also feature a “Do Not Disturb” sign and a few fill-in-the-blank phrases, such as “Cheers From ____,” to allow travelers to put their personalized stamp on their Snapchat photos and videos. Interestingly, SPG’s Geofilters campaign comes as the SPG brand does not have a presence on Snapchat, but according to Espinoza, it’s not out of the question. So, what can you learn from this user-generated Snapchat storytelling initiative? Snapchat is a different type of visual storytelling. It’s highly personal and a reflection of the interesting things that happen in our everyday lives. Given these user behaviors, it’s no surprise that brands have embraced geofilters. 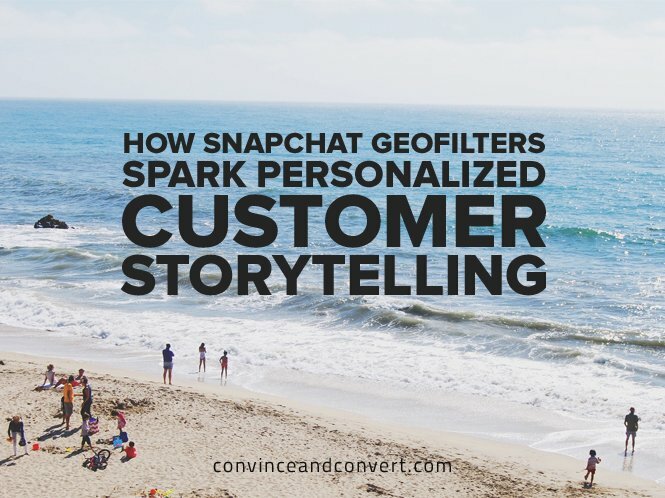 A geofilter, when done well, can inspire more customer stories, while allowing a lot of flexibility in terms of creativity and personalization. In the interview with SKIFT, Espinoza noted that the creative for the geofilters “tapped into social behaviors that people would actually want to use versus being overly branded and obtrusive.” If you think more about the SPG brand, this makes a lot of sense. For SPG, geofilters that celebrate the travel experience are a smart strategy. However, there’s not a one-size-fits-all approach to Snapchat geofilters. Companies need to think carefully about the user experience and what motivates someone on Snapchat to use their geofilters. Check out this useful roundup from Delmondo which showcases how 23 different brands used branded geofilters six months following their launch to get the creative juices flowing. SPG launched this campaign in advance of its official Snapchat handle. While it’s easy to debate the merits of this, in this writer’s opinion, it sends out an important message that the company wants to provide a memorable experience for its customers, rather than simply push out content. This campaign is also a fantastic test and learn opportunity for SPG to better understand Snapchat user behaviors around its brand to better hone its strategy. I was with Dunkin’ Donuts when we launched our Snapchat account, and before we created our first story, we looked at the organic snaps coming into us, plus Snapchat screenshots fans were sharing across other social media sites. The goal of this exercise was to better understand what content and one-to-one engagement strategies would provide the best fan experience. We were fortunate to be part of a well-known brand that users were seeking out organically. Not every company has the same luxury, so campaigns like this can offer valuable insights. As SPG heads into the future, it will be exciting to see how they shape the strategy around an official account launch and build a deeper connection between their loyalty program and millennial audience.